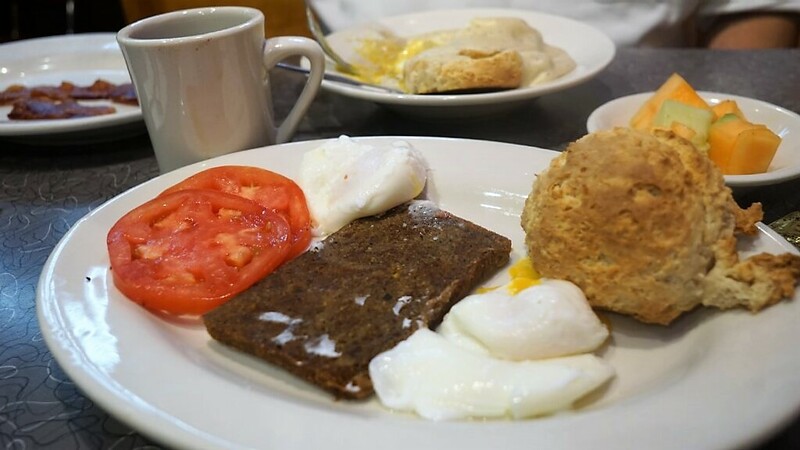 Have you ever eaten a Scrapple? No wonder I have never tried this before. This is a staple in the Amish Country fare. I might have seen scrapple on the brunch menu somewhere in the San Francisco Bay Area but this dish is not a West Coast thing. And being the food lover that I am, I had to try this while I was in Philadelphia. How convenient it was that Mr Sweetie and I were staying just right across the street from the Reading Terminal Market which is Philadelphia's oldest farmer's market. Mr Sweetie wanted to go back to Dutch Eating Place but I really wanted to try another place to check out more places in Philly. Lucky for me, Dutch Eating Place was packed. 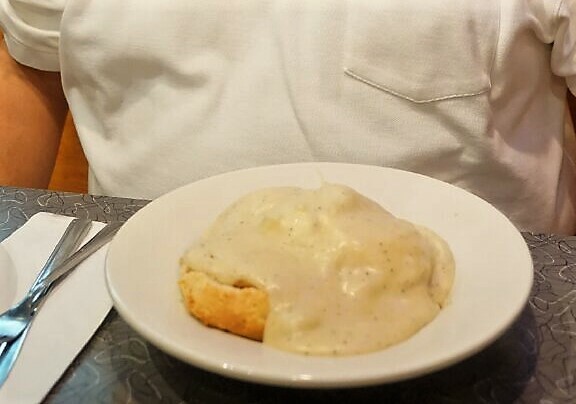 We ended up at Down Home Diner which is also located inside the market. Down Home Diner was more comfortable than most of the eating places at Reading Terminal. 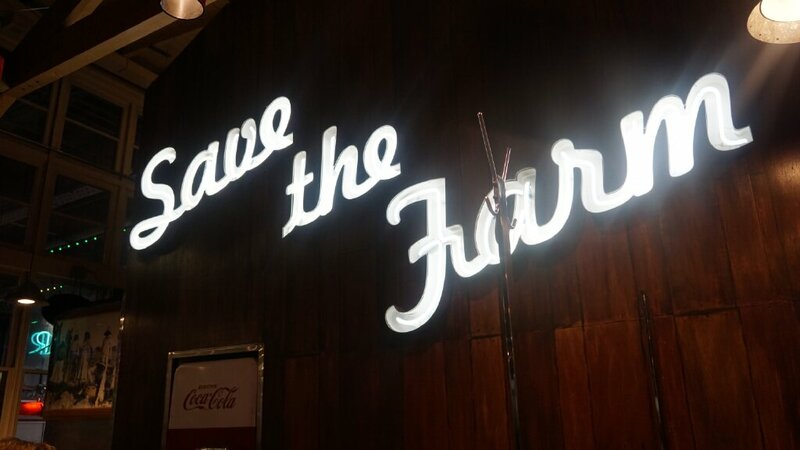 It is an actual restaurant with a bathroom inside compared to food stalls with just stools at the indoor market. 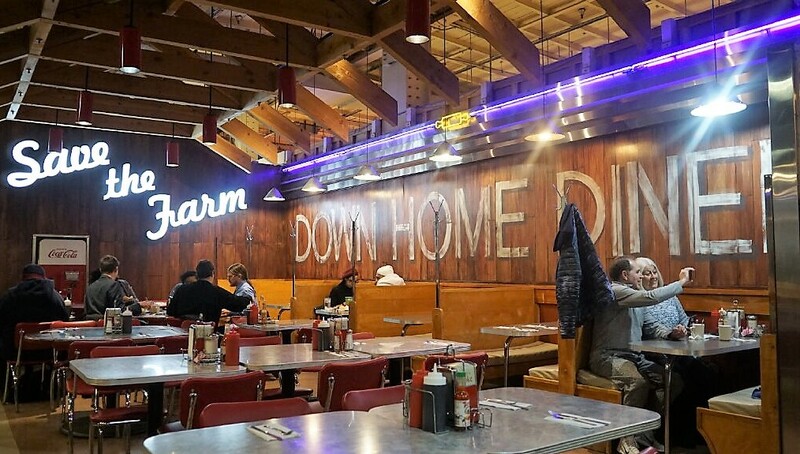 Down Home Diner is a sit-in diner which has actual booths and servers who take your order at your table. So I had my first taste of Scrapple. And it was very tasty! How could it be not when it was a deep-fried patty of pork right out of the fryer! The outside was crispy while the inside was moist and salty. As much as I do not really eat salty meat, I found scrapple to be very yummy. Mine was paired with poached eggs and giant fluffy biscuit which I slathered with jam. 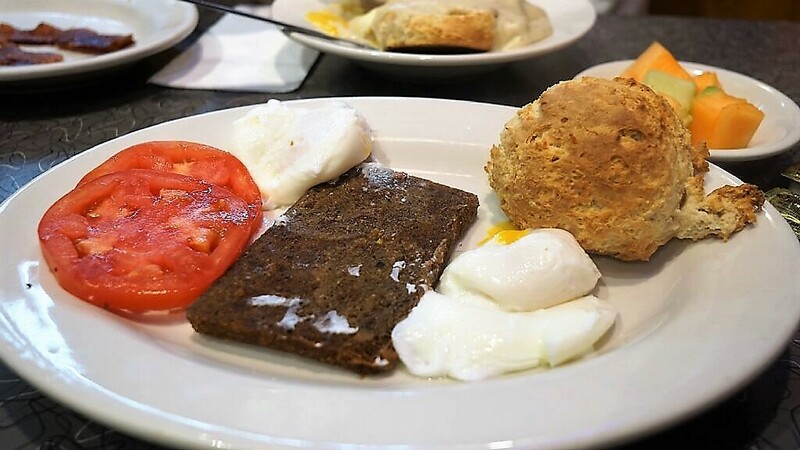 I really liked my first taste of Scrapple. I might not order it again here in the Bay Area but if you find yourself in Philly, you have to definitely try it. I know that I would next time I go back! Like this post? Pin for later.